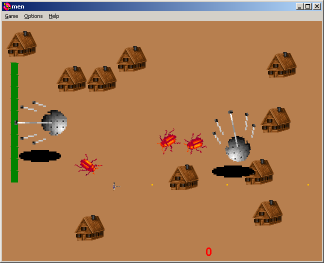 Klik & Play was a mid-90s game creation tool for Windows. an aesthetic of gonzo wackiness, using terrible clipart animations and fostering oddball gameplay and styles. where a team of 17 intrepid coders made over 100 distinct games -- over the course of a single weekend. The site hosts a Klik of the Month club where folks meet on irc and see what they can do in two hours of Klik & Play.